Your team will receive comprehensive training in Panchero's financial controls, personnel management, operating procedures and all other aspects of business operation. You and all others involved in the restaurant management will participate in "on–the-job" training at a certified restaurant prior to the opening of your business. 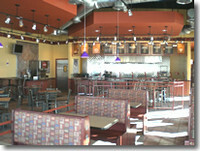 What is the Panchero's Mexican Grill Opportunity?